This episode begins with Ms. Thrift and I discussing our recent vacation to Costa Rica. We briefly talk about what she enjoyed on the trip and what we learned about Costa Rica to help us with our future plans to one day move there. We also talked about the joy of knowing we returned without owing a dime. We also discussed how we made the trip without using a credit card but rather by using a debit card and cash only. I then discussed what I have done since then which includes attending a Dave Ramsey Financial Coach Master series training course in Brentwood, TN. I also talked about my trip last week to Fairbanks, AK to visit my brother David and his wife Missy. I had a chance to be on David’s live TV show, the Hawk Shop, that he does each Sunday on the local Fox affiliate as well as being on Missy’s morning radio show. I had a chance to talk about thrift on both shows so I play a few clips from each show in this weeks installment. I then proceeded to discuss my technique to help you get a pay raise in the next 3 months. I started by using a scene from the movie Day’s of Thunder as a means to encourage my listeners to give me 3 months to help them improve their finances. I covered the importance of have an overall financial system much like a toolbox that contains many tools which I call plans. We have to plan for everything and a budget/cash flow plan is the most fundamental plan we must have in our system. To prepare listeners to prepare a budget, which we I will explain next week, I gave some homework. This week I want my listeners to do the following. 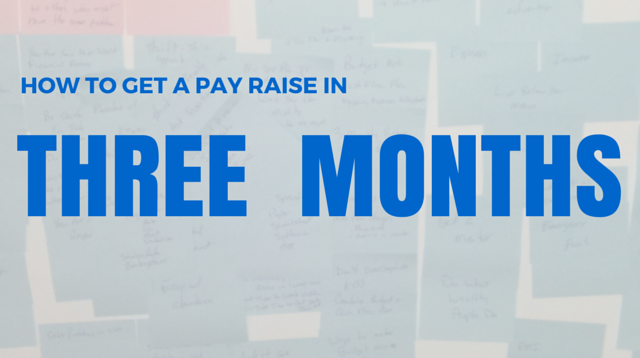 Create a list of every pay date for the remainder of the year. If your spouse works do one list. Create a list of items you spend money on during the month. Be specific without being too specific, i.e don’t need a shopping list. That is another tool. Modify this list over the course of the week. Either spouse can add an item at any time during the week. At this point don’t judge what either one of you wrote down. Keep all receipts this week. Make a habit of asking for them. Keep a simple envelope with you to put them in. Make sure your spouse does the same. If you pay a bill or purchase something online, make sure to print the receipt and put it in your envelope. Keep a list of all bills you receive during the week. Write down, who you owe the money to, how much and the due date. Keep all of these items together in one place. Don’t try and do anything more than this. I know you are probably excited and I hope you are but trying to do too much will only make it more difficult to succeed. Remember you have committed to doing things for 3 months my way. A cash flow plan is only one portion of our overall system what we will build. We will include other tools in our toolbox. There is no one perfect system. Over time you will develop your own way of using each tool, i.e for budgeting you might use paper, a spreadsheet, software or an app. You will improve how you use each tool which over time makes for a more perfect toolbox or system. Building a budget doesn’t happen overnight. Even after it is developed, a budget WILL NOT be perfect…it never will be BUT it will become more and more accurate and easier to do. Modification is necessary. Having a plan won’t work if not executed…by both.